Selling FSBO gives you the certainty of saving a minimum of 3% in brokers fees and the opportunity to save up to 6% in agent commissions. 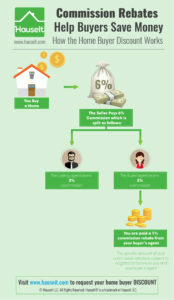 In order to save the full 6%, a FSBO seller must sell his or property to an unrepresented buyer. Even if a FSBO seller finds a buyer through a buyers’ agent, the seller will still save the 3% commission which would have been charged by the listing agent. Unfortunately, many real estate websites reduce your chances of saving the full 6% commission and finding an unrepresented buyer when selling FSBO. In this article, we will explain why this is happening and what you can do to fight back and maximize your chances of saving 6%. Why would I still need to pay a 3% commission when selling FSBO? To understand why some property owners save 6% when selling FSBO and others save only 3%, it’s important to understand how real estate commissions are shared between the agent who represents the seller (listing agent) and the agent who represents the buyer (buyer’s agent). 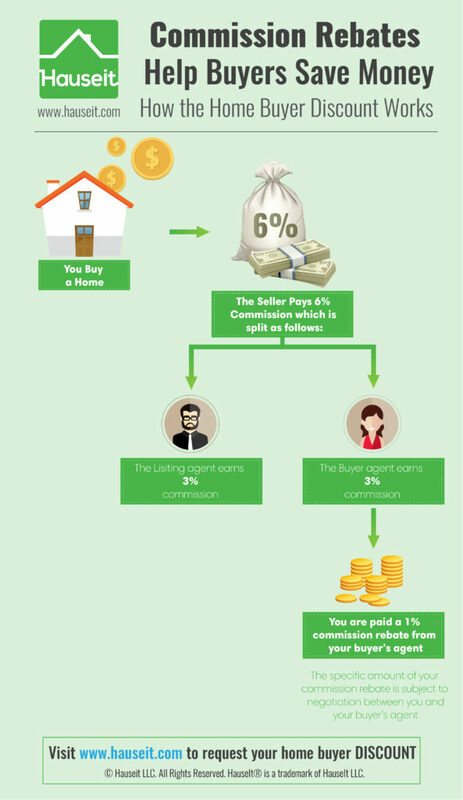 In the event that the agent who finds the buyer is not the listing agent, the total 6% commission paid by the seller is split evenly between the listing agent (3%) and the buyer’s agent (3%). If the listing agent happens to also find the buyer, than he or she earns the full 6% broker commission. 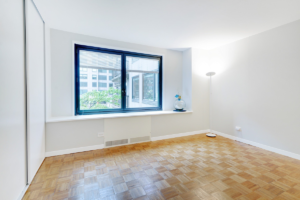 How do I save the full 6% commission when selling FSBO? In order to save the full 6% agent commission when selling FSBO, you need to sell your property to an unrepresented buyer. As a FSBO seller, you can expect to receive interest on your property from both unrepresented buyers as well as buyers’ agents. Because buyers’ agents represent roughly 80% of all home buyers, there is a slightly higher chance that you will eventually sell your home to a represented buyer and pay some form of a buyers’ agent commission. 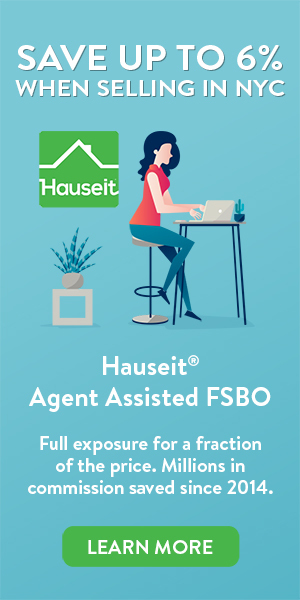 However, we regularly see Hauseit clients who are selling FSBO successfully find an unrepresented buyer and pay zero commission all around for selling entirely without an agent on either side of the transaction. Why are real estate websites making it harder for FSBO sellers to find unrepresented buyers? While selling your home to an unrepresented buyer is an achievable goal, many real estate websites reduce your chances of this happening by selling advertising space on your listing to buyer’s agents. This confusing advertising confuses the unrepresented buyer and makes it hard to contact the real listing agent. Take a look at the ‘Contact Agent’ box in the image on the left. This is the standard contact form which appears on all listings (traditional full service listings as well as FSBO listings) on many major real estate websites such as Zillow, Trulia and StreetEasy. As you can see, in addition to the listing agent there are three other agents listed on the property. It’s very hard to tell which of the four agents listed is the actual listing agent of the property. Because of this advertising, many unrepresented buyers who would have normally clicked directly on the contact information of your flat-fee listing agent may accidentally contact one of the buyer’s agents who paid to advertise on your listing. What happens next is very unfortunate. Instead of receiving the direct contact information of the unrepresented buyer, you will then receive an inquiry from a buyer’s agent who has a ‘client who is interested in viewing your property’. As a result of this confusing advertising, you’ve effectively lost your unrepresented buyer and now face the prospect of having to pay a buyer’s agent commission for the privilege of meeting this mysterious buyer. How do I stop buyer’s agents from hijacking my unrepresented buyer leads? 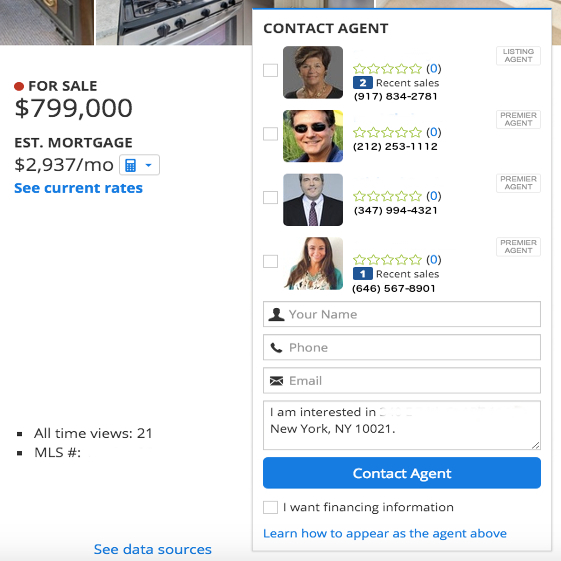 The only way to remove the confusing agent advertising on your listing when selling FSBO is to make your own custom property website and link to it from your listing description on Zillow, Trulia, etc. Unrepresented buyers will click on the link to your own custom property website which will prominently display your contact information. Once the unrepresented buyer is on your property’s personal website, there is little to no risk of that buyer going back to Zillow, Trulia, etc. and clicking on one of those buyer’ agent advertisements. Other major benefits of having your own custom property website when selling FSBO include the ability to include additional photos, videos and offer your buyers more comprehensive information about your property and neighborhood that you wouldn’t be able to fit Zillow or Trulia listing.